This might be hard to swallow: you’ll never be 100% prepared. Perfection is a myth. Real estate investing is not perfect, and life certainly is not perfect. But unfortunately, perfection is a crutch that stops many people from finding success. 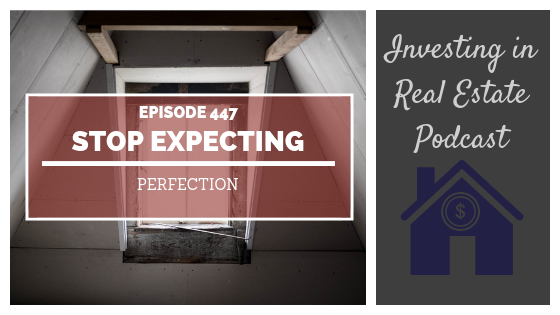 On today’s episode of Investing in Real Estate, we’re taking a realistic view of real estate investing and the truth about being ready to begin. I’m challenging you to step outside of your fears and encouraging you to just go for it! If you’ve been stuck in an analytical mode, today’s episode is for you. Why waiting for a perfect credit score is unrealistic. The truth about our YouTube channel. How to ignore petty annoyances. Some of the imperfections in real estate investing.